The March 21 Apple event wrapped up earlier, and we have to say that for the most part, we saw that coming. The company followed through on every rumor we heard that said it was going to put out smaller versions of its latest iPhones and iPads. It introduced new Apple Watch bands, including a Space Gray Milanese Loop, just like we’d heard. And it totally confirmed that the new versions of tvOS and OS 9 would be out today, which didn’t surprise us at all. But we did manage to fit a gasp or two between all those yawns. Here’s everything that was actually surprising at today’s Apple event. We knew the company was bringing out some new bands for the Apple Watch at today’s event, but we weren’t quite prepared for how they’d look. Don’t get us wrong — the Bond-esque, Space Gray Milanese Loop looks pretty great. But the “real” reveal, an assortment of straps in woven nylon, didn’t win us over. Maybe it’s the pastel colors, or maybe it’s the texture. It’s also possible we just don’t like nylon as an accessory fabric. 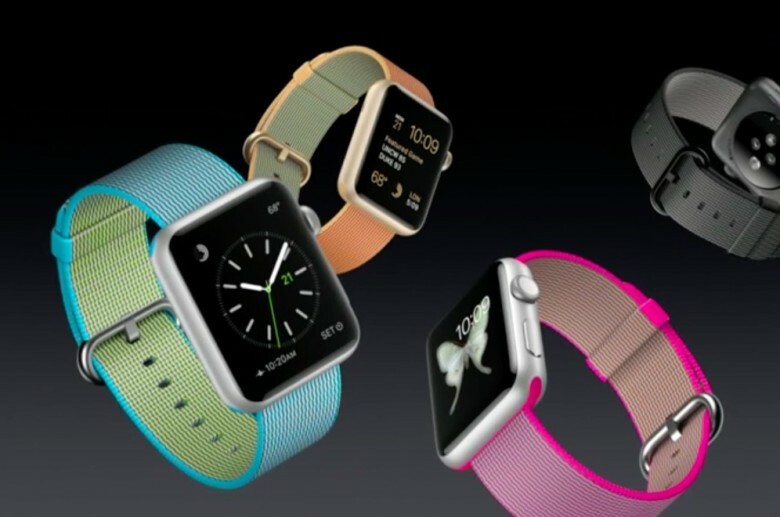 But that’s fine; Apple Watch is about providing owners with plenty of options. This is just one we probably won’t be taking. The 9.7-inch iPad Pro‘s True Tone display was a double surprise. Firstly because we didn’t see it coming, and second because we didn’t know why we were suddenly so excited about it. 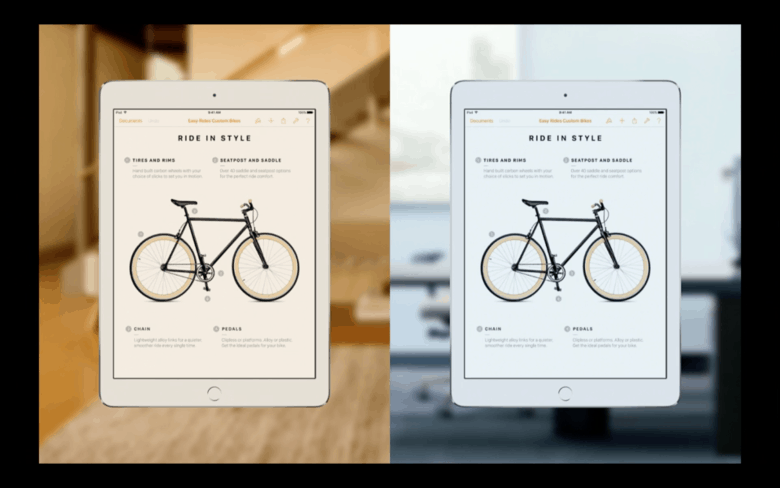 True Tone matches the iPad Pro screen’s output to match the light temperature of the room. 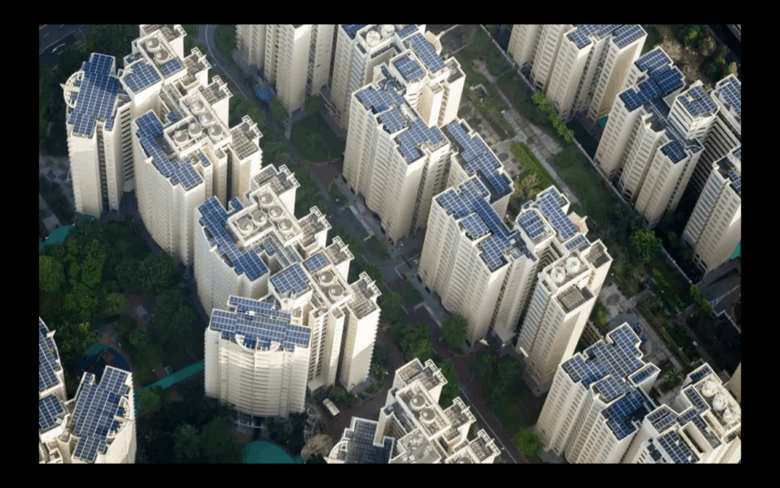 That means that instead of just blasting out whatever color it’s showing, it will “reflect” its environment. The comparison Apple used was a white sheet of paper reflecting the light that hits it. True Tone will simulate that to keep the contrast between your screen and your room low. Why were we so pumped? We honestly couldn’t tell you, but it sounds really good for our eyes. Shockingly, however, the 4-inch iPhone SE, which has the brains of an iPhone 6s and the body of a 5s, wasn’t that painful. 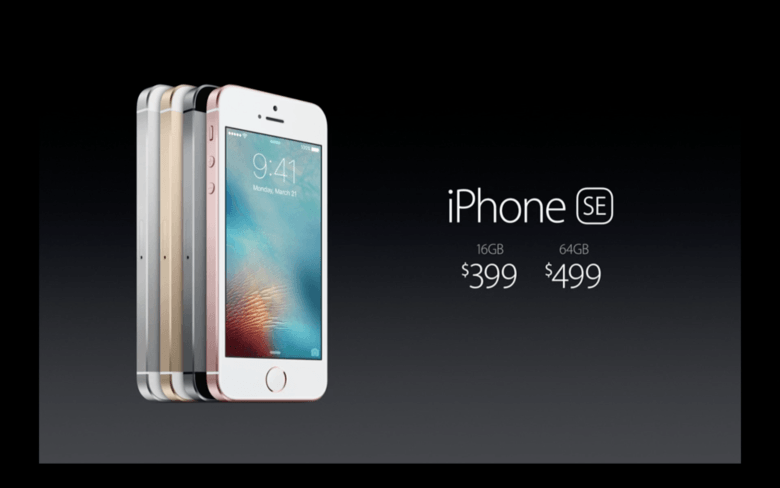 It’ll launch on March 31 at $399 for 16GB of storage and $499 for a 64GB model. That makes it cheaper than an iPhone 6, which positions it perfectly as a powerful, entry-level iPhone for new users and converts. We suspect someone has made a mistake somewhere when one of the most amazing reveals of an Apple event is that things will hold more stuff, but here we are. The company dropped a relative bomb when it announced that both the 9.7-inch and 12.9-inch versions of the iPad Pro were going to have versions with 256GB of storage. We aren’t entirely sure what we’d do with that much space, but we suspect that if you’re a designer, those Photoshop files and blueprints or whatever might start to add up. This was the most low-key Apple event we’ve ever seen, and we don’t think it was just because we already knew most of the stuff the company was going to talk about. ‘Let us loop you in’ meant nothing. At all. We had a few guesses about the strange wording on the invite for this event, but nothing could have prepared us for the truth. And that’s because the truth was that it didn’t seem to relate to anything in the presentation at all. We got some passing references, like that new-colored Milanese Loop we were so excited about, but at no point was anyone like, “After years of trying, we’re pleased to announce that Apple has reinvented the loop.” And that’s really what we were waiting for. And it didn’t happen. 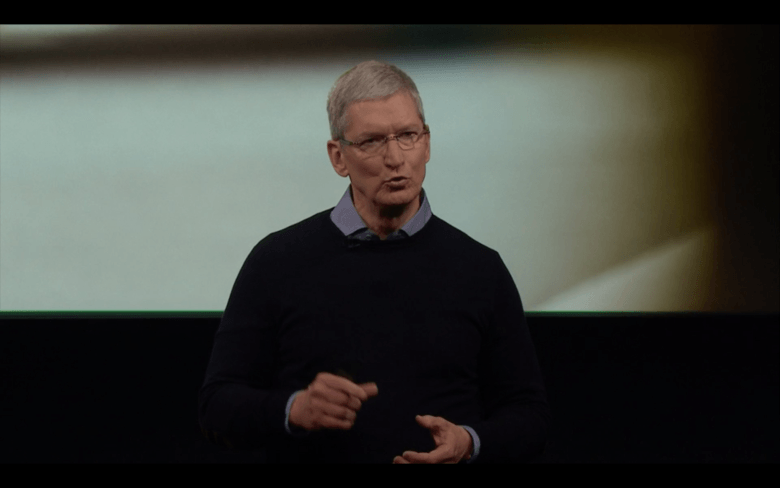 At the end of the presentation, when Tim Cook said goodbye to the Cupertino Town Hall and said that future events would be in the fancy new auditorium at the new Apple Campus, we perked up a little. Maybe he was going to announce that the address of that place was going to be 2 Infinite Loop or something, which sounds way better than its current designation, which puts it on Pruneridge Avenue. 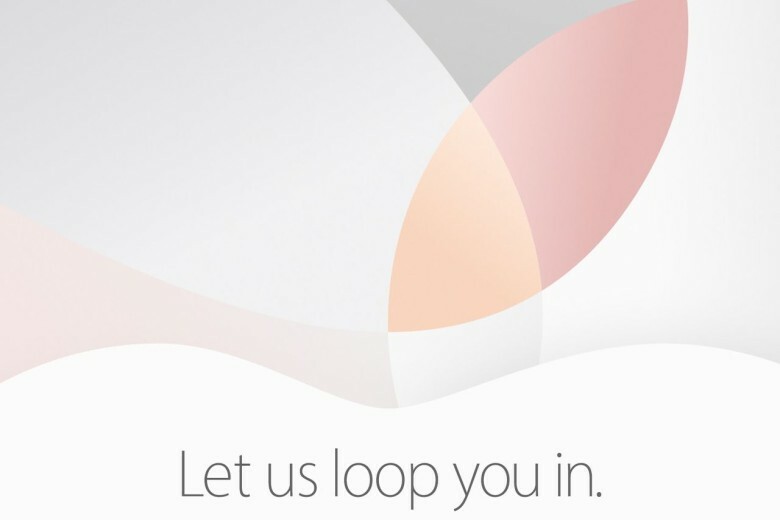 But sadly, Apple denied us the loop revelation it had promised, and so we leave today’s event slightly disappointed. That True Tone display, though. It looks rad. 1. Apple Pencil. Apple’s first iPad stylus, Apple Pencil, is very close to awesome — better overall than any of the dozens of styluses I’ve tested for earlier iPads, and a joy to use for writing notes, sketching, and drawing. Assisted by iOS Notes and third-party apps such as Procreate, the pressure- and orientation-sensitive stylus does a truly wonderful job of accurately representing the motions and imperfections of both handwriting and analog marking tools. While an accessory named “Pencil” could certainly stand to include an eraser, and its battery life isn’t fantastic, I otherwise love this stylus, and consider it essential to my iPad experience. Unfortunately, it’s still extremely hard to find, but available on eBay and through Amazon Marketplace sellers. 2. The Right Stand/Case. My first week with the iPad Pro was marked by daily struggles to prop up and hold the 12.9″ tablet for extended periods of time, and made more awkward because I was relying on the wrong stand and case combination (Logitech’s Create). I discovered that turning the iPad Pro into a bulky, cheap-feeling laptop killed the enthusiasm I had for its “tablet-plus” functionality. So I initially solved the stand problem by switching to Just Mobile’s Encore, which works with all iPads, then found a great combination iPad Pro stand and case in Urban Armor Gear’s Composite Case, which I’ve been using and loving. 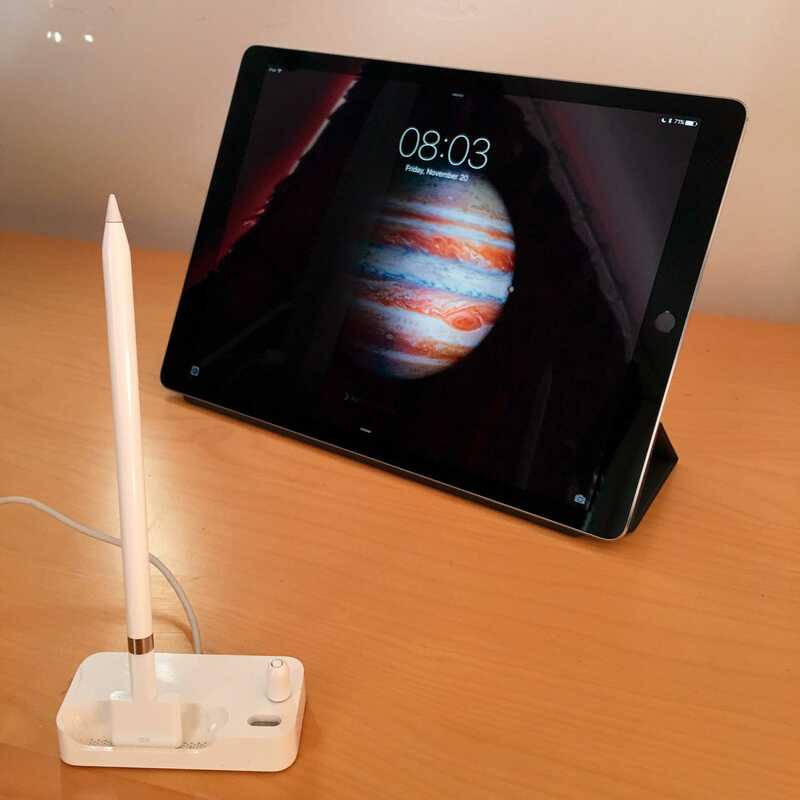 Being able to carry the iPad Pro and Apple Pencil together, with the benefit of an as-needed stand, makes the large tablet experience leagues better; pairing it whenever necessary with a Logitech K811 Keyboard is perfect for long-form typing. 3. Finding A Better Price. Apple’s $499/$599/$699 pricing strategy for the original iPad was smart, presenting a major new product with an affordable option from day one (while incentivizing upgrades); the same strategy helped the iPad mini and iPad Air roar out of the gate. By comparison, Apple’s iPad Pro pricing feels somewhat exclusive: the $799, $949 and $1,079 models are all outside “impulse buy” territory for casual users, and may seem a little expensive compared with Apple’s fuller-featured laptops or earlier tablets. But if you can get the Pro at a discount, it’s harder to pass up. The Apple Store’s holiday return policy entitles you to bring back your iPad Pro through early January for any reason, so even if you already have an iPad Pro, you can still save money if you find a better price elsewhere. I was able to score a rare Cyber Monday deal to lower my iPad Pro’s price, and though it’s expired, you can save some cash (particularly on sales tax) through a third-party vendor such as MacMall; coupon code MWBCJ9TO5MAC will help you save at least $25 off Apple’s standard prices, plus a state- and iPad model-specific sales tax savings of $70 to $100. 4. Getting Updated Apps. It’s probably not surprising that there weren’t many iPad Pro apps ready on launch day, given that Apple released it with so little advance notice to developers. The initial selection of apps with either iPad Pro resolution support, or split-screen support, was seriously disappointing. But each time an app adds support for the iPad Pro, particularly split-screen functionality, the Pro becomes more useful, and I like it more. Some of Apple’s built-in iOS apps, including Messages, are absolutely essential to use in split-screen rather than full-screen mode. I’ve enjoyed using Reeder 3 and Tweetbot 4, both of which have been updated for the Pro. But other third-party apps really could benefit from Pro updates; I’m anxiously awaiting Facebook and YouTube updates, and other tweaks so that my most-used apps can share the big screen at once. 5. Discarding Some iPad Air/mini Conceptions. One of the things that changed was me. Like anybody who’s been using iPads and MacBooks for years, I had certain expectations as to how the iPad Pro might function — somewhere inbetween them, hopefully as a replacement for both of them. But for me, the iPad Pro turned out to just be a more capable iPad, solely a replacement for my iPad Air 2. Once I decided that I was going to stop using the iPad Air 2, I began to figure out workarounds for some of the challenges created by the larger Pro’s form factor. Knowing that I wanted to make it work for the long term, rather than as a temporary replacement for the iPad Air 2, really changed my enjoyment of the device. I’m not going to tell you that the iPad Pro’s perfect — the overly large, poorly-designed virtual keyboards remain a sore point for me, and many other parts of iOS 9 feel either underpolished or downright ignored for the 12.9″ screen. But the more I use this tablet, the more I would feel comfortable recommending it as an alternative to a 9.7″ iPad; perhaps in time it will be worthy of recommending over a MacBook, as well. The iPad Pro became available to purchase today, making a rare simultaneous appearance in Apple’s online and physical stores without any preorder period. Consequently, it’s actually possible to walk into an Apple Store today to buy one — and if my experience today is any indication, there probably won’t even be much of a line. 2. This Is How Big It Looks Next To the iPad Air 2 and the iPhone 6s Plus. iPhone 6/6s Plus users typically stop using their iPad minis once their iPhones become nearly as big — some even stopped using full-sized iPads/iPad Airs. The iPad Pro creates another meaningful differentiation between devices; compared with the iPhone 6/6s Plus, it feels a lot bigger than an iPad Air. And even if you know what a 13″ laptop screen is like, the iPad Pro feels a lot different — more intimate, as Steve Jobs would have said — when it’s resting in your lap, or held in your hand. My strong advice: under no circumstances should you try placing it on an iPad dock. 3. The Extra Speakers Actually Do Make A Difference. The iPad Pro has four speakers — two on “top,” two on “bottom” — and they’re much better than on any prior iPad. Believe it or not, the iPad Pro makes the 13″ Retina MacBook Pro’s speakers sound weak; they’re remarkably a step louder, noticeably clearer, and decidedly wider in frequency, better in both treble and bass. Apple’s promised stereo separation feature works seamlessly, too, properly switching the “left” and “right” channels over to the correct speakers as you rotate the iPad Pro around. 4. Multitasking With The Virtual Keyboard Is Less Weird But Still Weird. Typing has become wonky on all iPads since the introduction of split-screen multitasking, and rather than going away, the weirdness just changes with the iPad Pro. On a positive note, you get a little more screen space for your apps above the virtual keyboard, which managed to grow in height and width by replicating more keys from a regular keyboard. Now you get half-height number keys alongside a weird half-height delete key, while losing the ability to split the keyboard in half for edge-of-screen typing. But you still have the ability to undock the keyboard from the bottom of the screen, sliding it up and down to your preferred position. I’ve never seen a use for this, but maybe you have one. 5. Most Of The Time, It Doesn’t Feel Materially Faster Than An iPad Air 2. Most apps, including Apple’s, feel like they’re running at the same speeds once you get them open, though the iPad Pro can and will load apps a little faster. As between the iPad Air 2 and iPad Pro, you’re more likely to notice Internet/wireless retrieval delays than CPU or GPU performance issues at this point. Oddly, Geekbench’s benchmarking tool shows a lot of variation between results. It consistently reported a gigantic jump in single-core scores from the iPad Air 2 (as wide as 1836 to 3146), but versus the iPad Air 2’s 4605 multi-core score, the Pro’s scores ranged from a barely better 4859 to a higher score of 5324. I’m guessing Geekbench needs an update, but there might be under-the-hood power management reasons for the benchmark differences. 6. Display Zoom + AirPlay Mirroring. Hey, did you know the iPad Pro has a Display Zoom feature, like the iPhone 6/6s Plus? When activated, it effectively transforms the Pro’s 12.9″ screen into the UI equivalent of the iPad Air, with much larger icons and text at a 2048 x 1536 resolution. The zoomed display could be a boon for users with limited vision seeking a larger canvas for the existing iPad experience. Additionally, though the iPad Pro’s screen is normally 2732 x 2048, it continues to look way lower-res — basically 1024×768-equivalent, the same as other iPads — when AirPlay Mirrored to an HDTV. 7. Expect A Lot Of Upscaling and Weird Proportions. Most of the iPad Pro experience right now is… a work in progress. Click on most apps and they’ll look like iPad Air apps upscaled to a larger screen, and in some apps, you may (gasp) notice visible pixels for the first time since Apple switched to Retina displays. Also, apps that have been upscaled (including Apple’s integrated iOS apps) don’t necessarily look optimally balanced for the new screen size. It’s really time for Apple to re-evaluate whether iPad apps like Clock really need to occupy the entire screen with white space for most of their tabs — now that multitasking is here, some apps might be best off running in less-than-full-screen windows. 8. Also, You Probably Should Stop Running Those Last Few Upscaled iPhone Apps Now. Sorry, Instagram users. iPhone app upscaling to the iPad was always a little iffy, but on the iPad Pro, it’s downright silly. 1X mode is tiny, and 2X mode no longer fills the screen, remaining closer to the size of an iPad Air screen with tons of black space on the Pro’s display. 9. Old Power Is All Good. The iPad Pro comes with and prefers Apple’s previously-released 12w iPad Power Adapter, but it doesn’t complain if it’s connected to older 10W iPad adapters or even 5W iPhone adapters. Those fearing a “Not Charging” notice will find the Pro works like other iPads when it comes to compatibility with Made For iPad power accessories. The iPad Pro is out today and, like clockwork, the first batch of reviews have started to circulate. The consensus? That the iPad Pro is gorgeous, powerful, and its (added extra) Apple Pencil stylus is great — but the add-on keyboard is disappointing, multitasking can be problematic, and it’s not quite ready to take over from the Mac in every situation as Tim Cook has suggested. Out of that mixed bag of pros and cons, we’ve picked out a few of the most interesting comments for our big meta-review below. “The display on the iPad Pro is stunning. With a resolution of 2732 x 2048 at 264 pixels per inch, it’s actually the highest-resolution display on any iOS device, but all that means nothing until you see it. Photos, videos, even text look big and crisp and real. The only knock you could make on the display is that it doesn’t include the new 3D Touch technology Apple introduced with the iPhone 6S, something that arguably could have been more useful on a tablet meant for multitasking than it is on a smaller-screened phone. 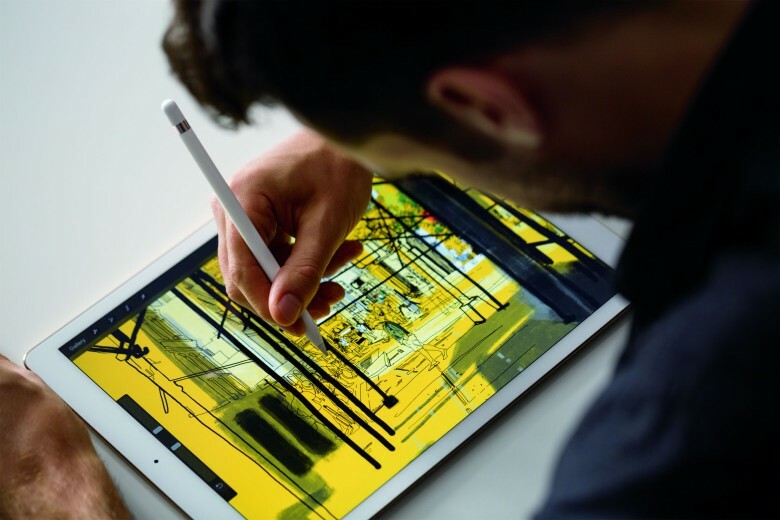 “The responsiveness [of the Apple Pencil] is exquisite and the Pencil tip material offers just the right balance between friction and smoothness on the iPad Pro’s touch screen. 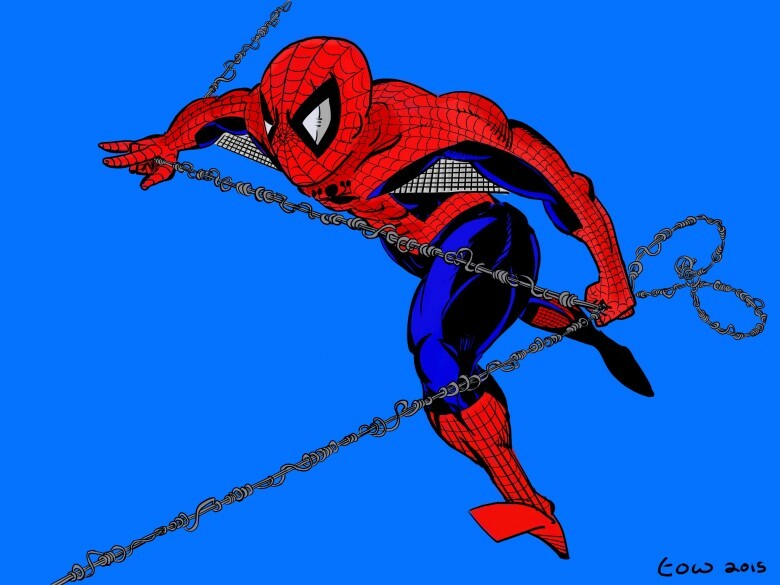 Pressure sensitivity is about as close as you’re going to get to actually drawing on real paper. It even supports shading, letting me hold the Pencil at an extreme angle to access a the virtual long-edge of a graphite pencil or wide magic marker. “The iPad Pro’s true strength lies in its beautiful display and slick ease of use: slim and light enough to carry with you for all your web browsing and Netflix needs, but also capable of facilitating detailed sketching in a way that was impossible in the past. “You can get a lot more done with iPad apps than with the paltry selection of tablet / touch-first apps available for the Surface. But, because Apple hasn’t made a great keyboard, the iPad Pro isn’t a complete replacement for a great laptop like the MacBook Air — even for a tablet guy like me. In all, perhaps not the effusive reviews Apple was hoping for — but rather a collection which say that, if you enjoy what the iPad already does, you’ll appreciate the abilities of the iPad Pro. On the other hand, if you’re looking for something that’ll help ramp up productivity, make the iPad a serious business machine, or even mean that you can cross off that next MacBook as a necessary upgrade, you’re likely to be disappointed. 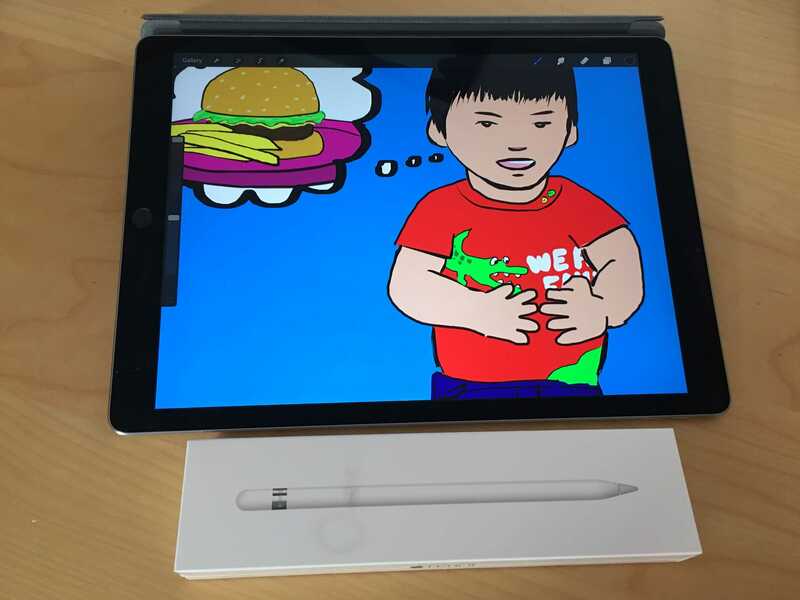 Have these reviews swayed your decision to an iPad Pro in one direction or the other? Leave your comments below. While we haven’t heard from every major US carrier just yet, two major carriers have already confirmed that they will be offering the iPad Pro when it goes on sale later this week. Unlike the iPad mini 4 and iPad Air 2, only the highest storage capacity model of the iPad Pro will be available with built-in cellular connectivity. 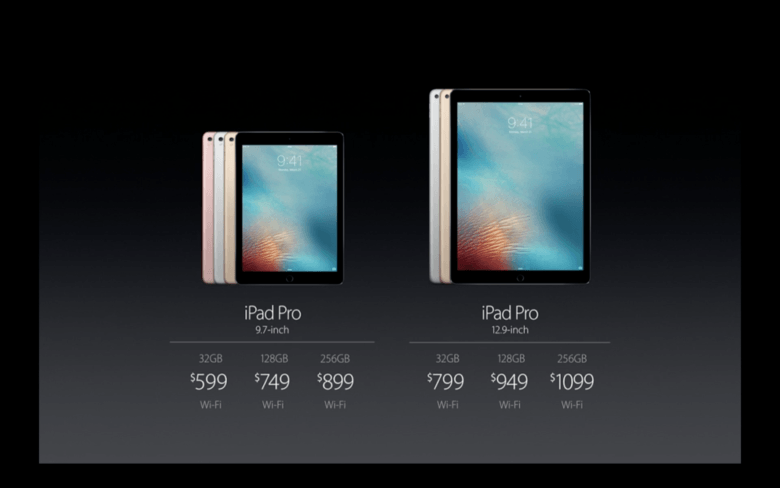 iPad Pro 32GB ($799) is only offered with Wi-Fi and the middle option iPad Pro 128GB ($949) is also only Wi-Fi. The only model with cellular connectivity built-in is the iPad Pro 128GB + Cellular ($1079), $250 more than the iPad Air 2 128GB + Cellular, so carrier financing options may be appealing to some customers. In the United States, both AT&T and T-Mobile have confirmed that they will be offering the cellular iPad Pro later this week. More details are expected once the larger iPad goes on sale, but T-Mobile says it will offer the iPad Pro 128GB + Cellular through its Jump On Demand leasing program. T-Mobile only recently added iPad mini 4 and iPad Air 2 to Jump On Demand. Pricing and availability details from AT&T haven’t been shared yet, but the carrier currently offers the $829 iPad Air 2 128GB + Cellular for $200 off on a 2-year contract or $41.50/month for 20 months with zero down on AT&T Next. iPad Pro 128GB + Cellular goes for $1079. Although availability details aren’t up yet, BestBuy.com lists each new iPad Pro model as coming soon on its website including space gray, silver, and gold in 32GB, 128GB, and 128GB + Cellular models at Apple’s retail prices. Best Buy also lists Apple’s $169 Smart Keyboard cover for iPad Pro and $99 Apple Pencil as coming soon. While other retailers and carriers are still mum on iPad Pro availability ahead of Wednesday orders and retail availability later this week, 9to5Toys today shares two Black Friday deals for iPad Air 2 + Cellular ($175 off) from Sam’s Club and iPad mini 4 from $300/iPad Air 2 from $374 at Staples. We’ve also seen MacMall already start selling iPad Pro models with a modest $12 savings for pre-order, although availability has slipped to mid-November. If you’re upgrading to iPad Pro from an older (smaller) iPad, we compiled a list of trade-in services and prices in September for turning your old iPad into cash or credit; prices haven’t fluctuated much, but generally do after the latest tablet officially launches. You can also get a quote easily at trade-in.9to5Mac.com. Stay tuned here for more iPad Pro availability details as we discover more launch plans from carriers and authorized resellers for Apple’s new iPad Pro.